No matter what your struggle has been, victory is possible today. Sadly, most of us don't think that's true. The problem is we tend to measure long term success while downplaying the absolute victory found in small successes. Yesterday a friend of mine called to say she'd read my blog and, as a result, she walked away from indulging in a bag of M&Ms. That's a victorious small success. Now, I can't say that her scale will stand up and clap and reward her with much lower numbers today. But, if she builds upon this small success - choice by choice, day by day - she will see positive changes. As the New Year approaches, many of us make some kind of healthy eating commitment. But even if that's not your resolution, this principle applies to other struggles as well. If I choose not to snap at my child and instead respond with tenderness, that's a victorious small success. If I choose to pause before responding to the rude sales clerk, thus giving her a smile instead of perpetuating her smirk, that's a victorious small success. If I choose to give my husband the benefit of the doubt rather than jumping to the conclusion he meant to hurt my feelings, that's a victorious small success. I like the way our key verse puts it. In 2 Peter 1:5-6, we are reminded to "add" some things to our faith. Two of those additions are self-control and perseverance. For me, I have to decide to practice the self-control and perseverance that is mine since God's Spirit lives in me. Think of it like a muscle. We have muscles as a part of our body. But we must add activity to those muscles to make them effective and strong. Our muscles will work for us if we exercise them. Self-control and perseverance will work for us as we practice these over and over. Start with the small victories and bigger victories will come. Sometimes victory seems so far away because we measure it by the end goal. And end goals can seem overwhelmingly huge, daunting and just plain hard to reach. Instead, if we start measuring our victories by the smaller choices we make each day, victory won't seem so impossible. Big things are built one brick at a time. A life well lived is chosen one day at a time. Dear Lord, I know that with You, victory is indeed possible. Day by day and choice by choice. Help me to believe this truth today. In Jesus' Name, Amen. Visit Lysa's blog for a chance to win her book Made to Crave and her new 60 day Made to Crave Devotions book. You'll also want to register for her FREE JANUARY 9th webcast which will launch a Made to Crave online study led by Lysa and her friend, Melissa Taylor. Reserve your spot today by clicking here. If this devotion resonated with you, Lysa's book Made to Crave is just what you've needed. Click here to order your copy!  You touch eternity every time you purchase resources through Proverbs 31 Ministries! Your purchase supports the many areas of life-giving ministry we provide at no cost. Although we wish we could offer the same prices offered by huge online warehouses, we simply can't. Therefore, we are extremely grateful for each and every purchase you make with us. Thank you! Sometimes victory seems so far away because we measure it by the seemingly overwhelmingly end goal. Instead, if we start measuring our victories by the smaller choices we make each day, victory won't seem so impossible. Think of a struggle you are dealing with and daily record your moment-by-moment small successes. Pray over them, be thankful for each one. Watch them build one choice at a time. Remember, we are more than conquerors through Him who loves us! A life well lived is chosen one day at a time. What does this statement mean to me? Do I find it encouraging? Or discouraging? Why? Have I found that I tend to miss the victories found in small daily successes?